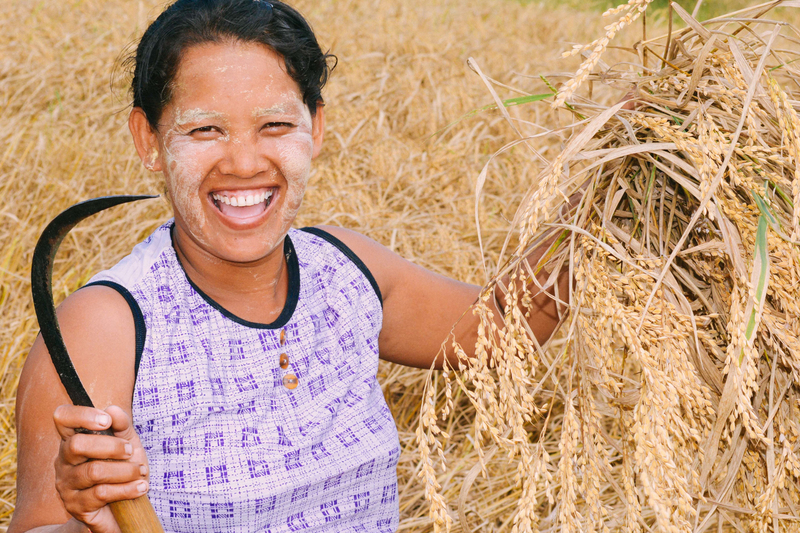 Photo: One of the joyful women our farmland employs. Her job gives her hope and purpose knowing that her wages are helping provide for her family, and that the farmland she works for is also helping others in need. 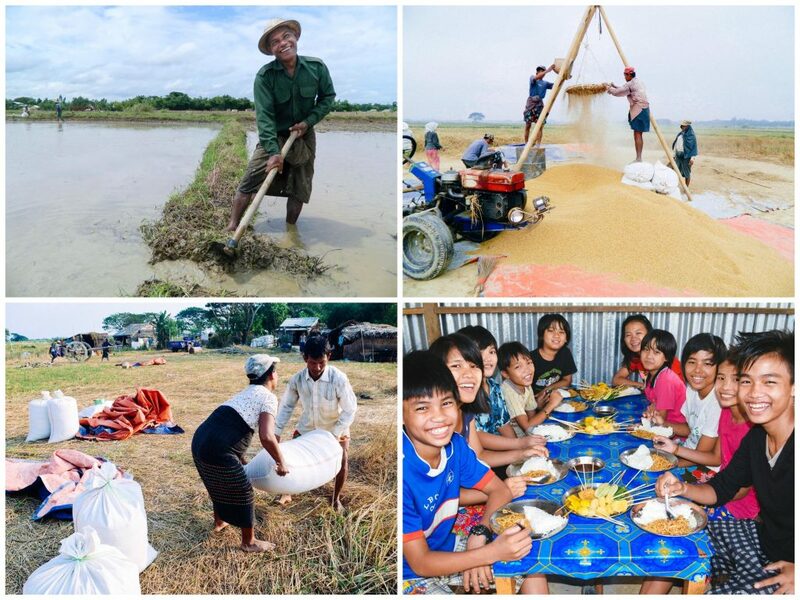 We are happy to report that the third harvest at our Myanmar rice farm was a success. The crop yielded approximately 13 tons of rice at the 12 acre farm. This is a decrease from last year’s harvest due to unfortunate heavy rains during planting season that affected our yield significantly. Even so, we are thankful for a good harvest that will feed 100+ orphans and the staff in our 4 orphan homes, and also dozens of indigent elderly widows under our care. Because of the lower yield this year, our local team has decided that instead of selling excess to raise funds for their programs, they will stockpile the entire crop. From this stockpile they will be able to feed not only our orphans but also the widows in our widows care program, along with others that our team finds in need during the hot summer months when rice supplies dwindle and prices spike. As with most rice harvests, part of the yield produced what is called “broken rice” and “rice husks” suitable for pig feed at our piggery. The yield from this part of the harvest will supply our piggery with enough feed for 9 months, thus saving us over $3,000 — adding significantly to the piggery’s profitability. We look forward to reporting back about next year’s rice harvest. We expect a good yield due to improved efficiency, higher quality fertilization, and better irrigation techniques — including a new water pump — employed by our native team, along with your prayers and other means of support. There’s so much we’re thankful for about our progress in Myanmar for 2014, but we couldn’t be happier with such great news to close out the year. Thank you for being a part of this work — the ultimate harvest of which is rescued and transformed lives.